Who Is The Black Hood On "Riverdale?" Who Is The Black Hood On "Riverdale"? Hermione is not as innocent as she seems but she is twice as clever as we’ve been led to believe. 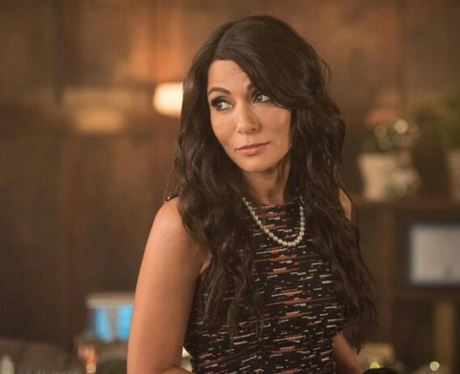 We now know that she’s the boss - or least she’s playing the role of the boss to make it look like Hiram isn’t pulling the strings. But what if she’s already 4 steps ahead of Hiram? It’s clear that she respects him, but there’s a level of fear in Hermione and it’s clear she wants out. It’s entirely possible that Hermione hired the Black Hood, knowing full well Hiram would use it to his advantage. See the full gallery: Who Is The Black Hood On "Riverdale"?